Employee self-service software can help any organization provide an engaging employee experience. But are businesses using this technology to its full potential? To find out, we collaborated with HR.com and surveyed 705 HR professionals from small, midsize and enterprise businesses. Learn what this research reveals about how they use employee self-service software, see how your business compares and discover if you could be getting more from your investment. 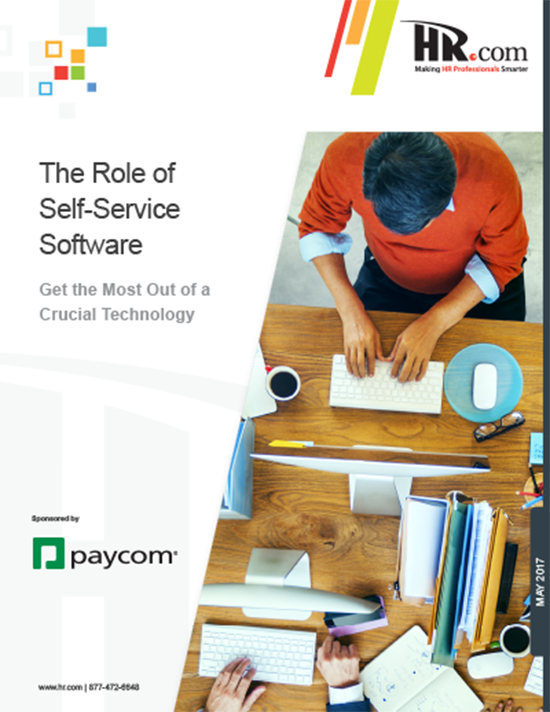 This free white paper reveals how today’s organizations use employee self-service software and how they could get more from their investment.